Having missed Cold Souls at this year’s London Film Festival due to the major inconvenience that is work and then missing it a couple of weeks later at Filmstock 11 due to a stinking cold I’d picked up at LFF, I was beginning to think that this was one of those films I was destine to never see on the big screen. It happens with me sometimes, there just seems to be some force out there that is always stopping me from getting to the cinema. Last year, useless trains and outrageous snowfall stopped me getting to see the energetic The Good, The Bad and The Weird on the big screen. This year it was looking like Cold Souls would be my main cinematic miss. However, after a failed trip to Paris and managing to convince my chauffeur (OK, girlfriend) to make an hour round trip to the closest decent cinema, I found myself sitting eagerly in the dark, waiting to watch Sophie Barthes’ tale of soul trafficking. The ‘Malkovich’ (or Woody Allen stand in) in Barthes’ film is the ever-reliable Paul Giamatti, playing the hardest role of his career, a neurotic, obsessive version of himself (although who knows, maybe this is what the actor’s really like). Giamatti is struggling with life and weighed down with worry from playing the title role in Chekhov’s Uncle Vanya. He needs a change, he needs to lighten his load and after a recommendation from his agent and reading an article in the New Yorker, he makes the decision to put his soul into storage. As you’ve probably already guessed, this doesn’t turn out to be a good experience for Giamatti. His performance as Uncle Vanya turns from intense to comic, his wife (Emily Watson) says he smells different and he begins to feel empty, not exactly the positive effect he was hoping for. 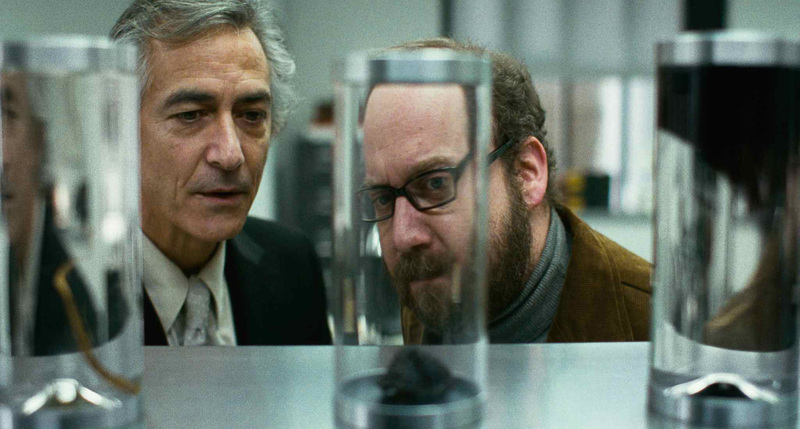 He even tries the soul of a Russian poet on for size, but again this doesn’t feel right and Giamatti decides he wants his chick pea shaped soul back. However, as expected, things don’t go smoothly and the desperate actor finds himself in Russia trying to extract his soul from a famous soap actor. Although Cold Souls contains some interesting ideas and Barthes’ film definitely raises some of life’s most important questions, it does feel a little empty. The idea of a soul and what exactly it is, is something that has been debated for centuries; great minds like Socrates and Aristotle couldn’t agree on what it was and all the different religions in the world have a different idea of the soul. Barthes must be one of the first people to portray the soul as a chickpea and the director’s modest representation of a soul is definitely one of the more interesting talking points of the film. Unfortunately, Barthes’ interest in the concept of soul trafficking and soul mules, means that narrative and plot development take a back seat. For a film that was inspired by Jung, quotes Heraclitus, refers to Chekov and imitates Kaufman you can’t help but be a little disappointed in how light Cold Souls’ story feels. On the positive side, the film does excel in the cinematography stakes and Barthes’ self-proclaimed ‘life and creative partner’ Andrij Parekh has created a distinctive visual style. The cold, sterilized palette used by the cinematography goes a long way in helping to create a believable world in which we can really believe in a soul trade. 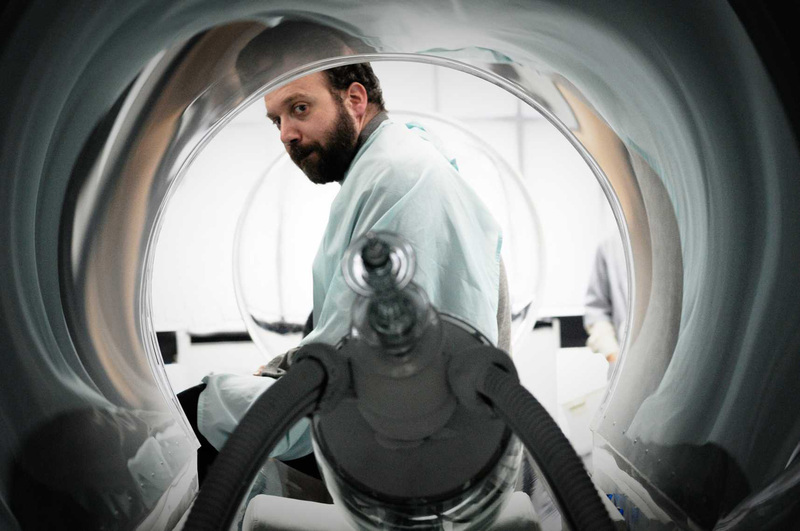 The acting is also faultless and although Giamatti’s weary, hangdog expression is rightly the main attraction, his supporting ladies Emily Watson and Dina Korzun (Tanya in Last Resort) also put in exceptional turns.